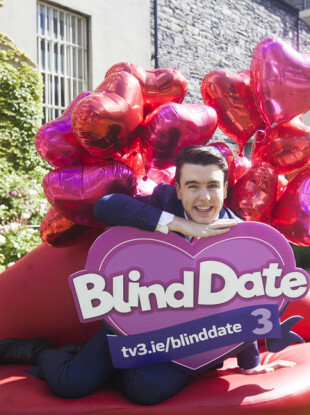 SIX EPISODES OF TV3′s revamped production of Blind Date that have not yet been broadcast will not be aired in the first half of this year, and there are no indications they will ever see the light of day. The Al Porter-fronted light entertainment show was billed as one of the highlights of the Ballymount broadcaster’s autumn schedule last year. A repeat airing of one episode was pulled last November in the wake of numerous allegations of inappropriate behaviour against the Dublin comedian and presenter, and the Mail on Sunday reported later that month that the remaining six shows had been axed. Porter also resigned from his lunchtime show on Today FM and from his role in the Olympia Theatre’s Christmas panto around the same time. Speaking at yesterday’s launch of TV3′s spring schedule, head of programming Bill Malone insisted that, contrary to reports, there was “never any plan for Blind Date in the spring schedule”. We have an autumn launch, I guess, in autumn. TV3 was giving a big push to its new Saturday night investment Ireland’s Got Talent at yesterday’s launch, while various well-known faces were also on hand to promote the broadcaster’s Six Nations coverage and returning shows like The Restaurant. After spending a few minutes talking up the new schedule to a group of reporters, however, it became clear Malone was not disposed to answering any ‘off-topic’ questions. Asked about longtime presenter Sinead Desmond’s decision to leave Ireland AM after more than a decade, which was confirmed last November, Malone would only say it was “a matter for Sinead Desmond” and that she had “decided to leave TV3 after 11 years and we wish her well”. It was reported at the time that she left because her male co-hosts Mark Cagney and Alan Hughes were paid a higher salary – and her solicitor later issued a statement saying it was “now a legal matter”. Asked about a wider current issue in broadcasting, disparities in pay between employees of different gender, Malone again declined to make a substantial comment. In response to another question, he said the company was a positive place for women to work. As you can see the majority of our on-air talent is female. Asked about the decision by the production company behind The Restaurant to cancel a planned appearance by Children’s Minister Katherine Zappone, Malone would not say whether he was satisfied with how the decision was made. The Sunday Independent reported before Christmas that an invitation to the independent TD to take part in the show had been withdrawn by Vision Independent Productions because of the upcoming abortion referendum. Producers were reportedly worried that the show featuring Zappone may not be aired because of the BAI’s rules about balancing air time during referendum campaigns, and the story prompted the Communications Minister to write to the broadcasting authority seeking clarity for broadcasters. The only thing I would say, as I said before, is TV3 would have no issue about the Eighth Amendment and The Restaurant – Katherine Zappone’s appearance, we have no issue with that. Elsewhere at the launch, the broadcaster’s managing director Pat Kiely confirmed that TV3′s planned rebrand to Virgin Media TV would take place at some stage before the middle of this year. Email “TV3's six remaining 'Blind Date' episodes unlikely to see light of day”. Feedback on “TV3's six remaining 'Blind Date' episodes unlikely to see light of day”.